This wheelchair carrier is designed to allow easy loading and transporting of your wheelchair, scooter or other item. 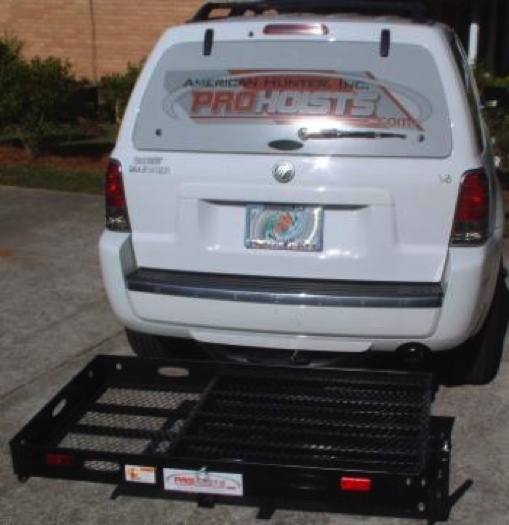 Each carrier includes a extra long 5 Foot ramp when fully extended. 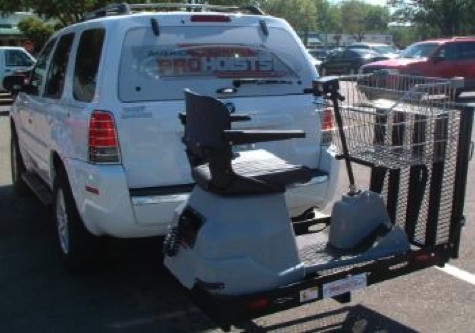 It quickly folds and locks for transporting. The ramp will also detach if not needed or for storage. 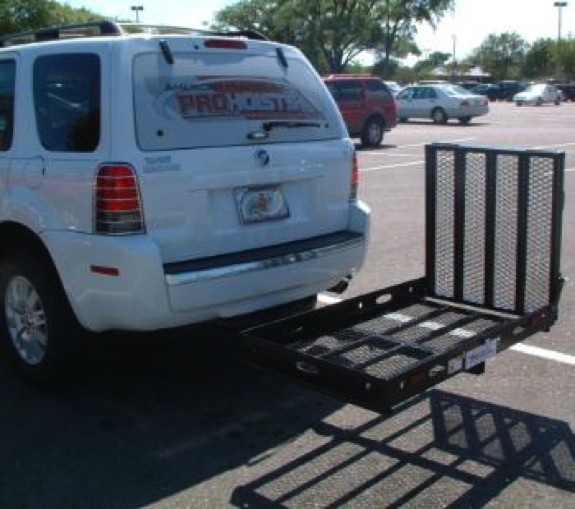 The entire carrier has the option of tilting upward and locking in the upright position for transporting without a load. This allows more parking room within your garage or elsewhere. Quick release spring loaded pins allow for easy unlocking of the ramp. 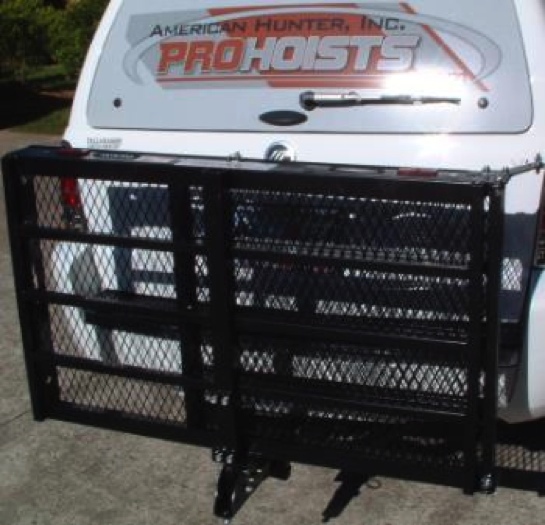 Large hand cut-outs allow easy lifting of the carrier. Each cut-out has a rubber insert for padding. 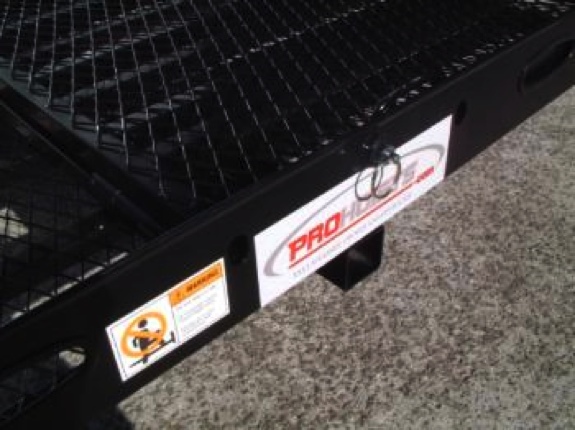 Handles also allow easy controlled lifting of the carrier. 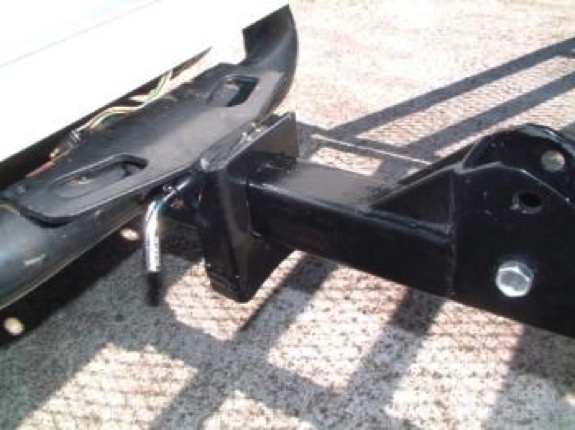 Anti-Wobble Device fuses the carrier and the trailer hitch receiver together to reduce movement and prevent trailer hitch receiver damage. Reflectors Included For Your Safety. Inside (usable) platform measurements: 46.5 Inch width X 28 Inch length X 4 Inch high rail. This carrier is now being used by Segway owners! Fits 1 Segways (XL holds 2 Segways). Loading Ramps folds upward towards platform, as well a lengthwise.